Let the summer barbecue continue. Apartment living makes it hard to have a proper grilling experience, but you can still eat the result after some time over the stove. 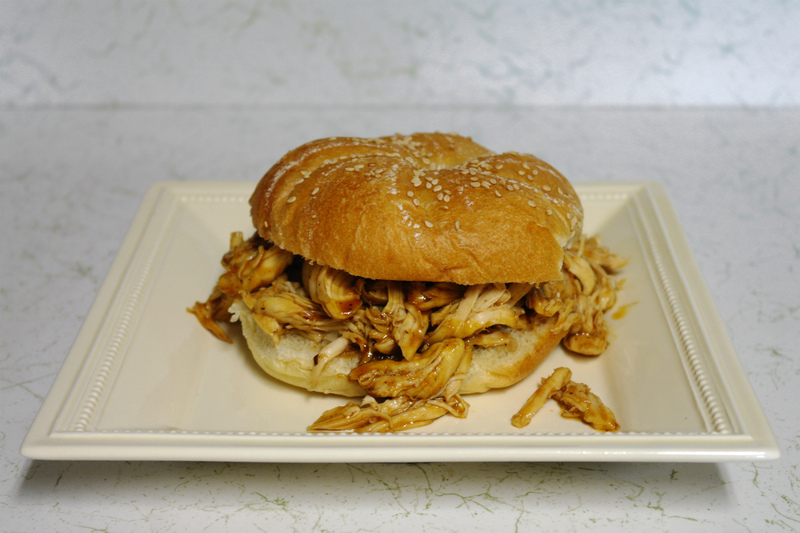 Here, some pulled chicken is soaked and heated in barbecue sauce– the cheap, store brand stuff is the only way to go. Perhaps from that same supermarket you could pick up a kaiser roll, as well. You’ll end up with this smokey (flavored) masterpiece, which is a delicious mess to eat. It’s a real statement on the summer experience: sometimes it seems oppressive and unpleasant, but it’s still memorable for all the good it brings.